One of the greatest wines in Châteauneuf-du-Pape, its secret is hard to unlock, its quality residing in a harmonious and complete structural integrity that is evident even at this early stage. Old vines from two parcels in the Courthezon commune shoulder the responsibility for this master-piece, one of our favourites this year. 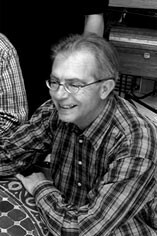 The loquacious Didier Negron recognises that Grenache was plentiful in 2011, unlike the coulure-blighted 2010, but that it had to be treated with care. The juxtaposition of an impressive early flowering and a cool but dry mid-season has engendered a heterogeneous crop, rather like 2007, but in a minor key. Didier’s clever manipulation of differing sizes of container in order to undermine the oxidative nature of Grenache, has ensured the purity and definition of his wines. He is proving a most worthy successor to the great Jean-Jacques Sabon, his father-in-law, who died last year. 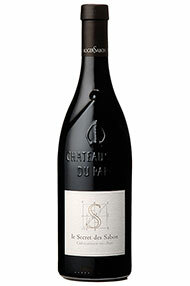 The Wine Advocate - Starting with the 2011 Chateauneuf du Pape Le Secret du Sabon, it shows the sunny character of the vintage with its perfumed kirsch and red fruits, herbes de Provence, licorice and ground spices. A big wine, it possesses full-bodied richness, fine tannin and a seamless, elegant style that will allow it to evolve gracefully for 15 years or more. Parker - A Chateauneuf du Pape Le Secret des Sabon 2011 was produced, and it is a candidate for the wine of the vintage. This superb effort displays a dense ruby/purple color along with notes of charcoal, camphor, black truffles, roasted meats, creme de cassis and blackberries. Brutally young and unevolved, which is atypical for a 2011, but super-rich and full, it should last an uncommonly long time for a wine from this vintage – possibly 15-20 years.